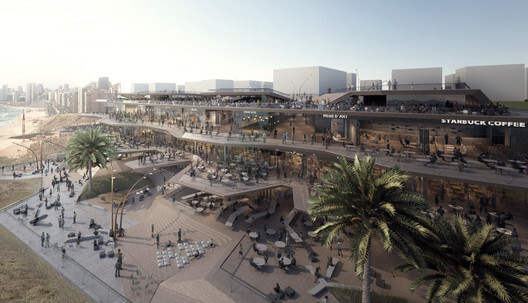 December 2016 – Sig Nordal, Jr.
BAD.Built by Associative Data has released its designs for BARCELONA, a new mixed-use development on the Mediterranean coast of Beirut, Lebanon at the Ramlet El Bayda waterfront. Spanning 18,000 square meters, the project will serve as “a new gastronomic experience, embracing the Mediterranean from a remarkable vantage point,” through a clustered development featuring restaurants, coffee shops, lounges, and event spaces. “The project derives inspiration from Barcelona city, in its materiality, tactility, and the relationship between space and gastronomical experiences,” explained the architects, and it will stretch across the waterfront in terraced layers. As a “creative interpretation of a social venue,” the project will showcase varying restaurant identities in customized lobby spaces. To inhabit the binomial countryside-beach entails dialogs between uses and customs intuitively disparate. 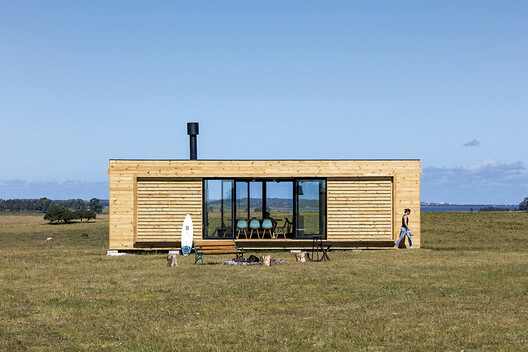 Far enough away from the city but yet influenced by it, the new maritime ‘chacras’ combine opposites in coexistence: from the summer enjoyment to the winter gathering, from the sophistication of the beach meeting to the simplicity of country life. Conjugation of landscapes and practices: field and lagoon, beach and sea. 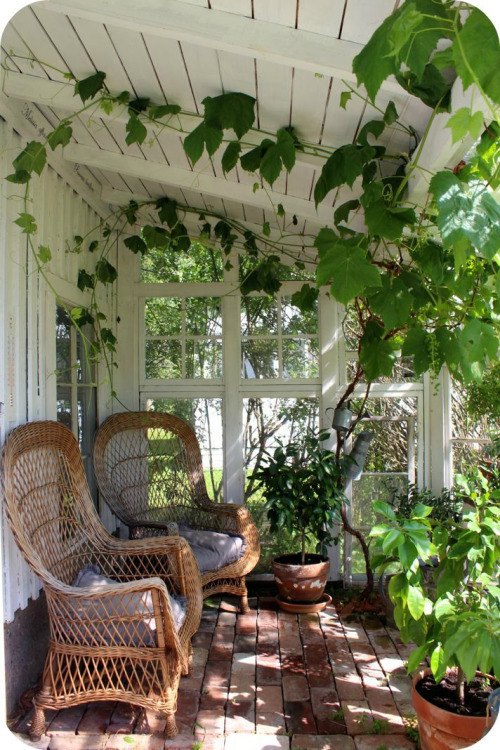 To build in far away territories from the surroundings in which we usually live is a great challenge. Remoteness not as a limit but as a possibility, as a value, as a generator of fields and conditions. Remote landscapes confronts us with the awareness of immenseness. It puts us in our role in reality. In landscapes of high natural value, it is fundamental to respect their original condition and so it is essential a reversibility condition. Prefabrication allows us to work with industrialized materials that enable high-precision processes. Thus amortizing the impact of construction on the ground, minimizing waste, staff in situ and displacement: a perfect combination of nature and industry. Houses do not move. They are made of heavy materials, put together with mortar, concrete must be used. These prejudices are hard to break, as the immobility of constructions. 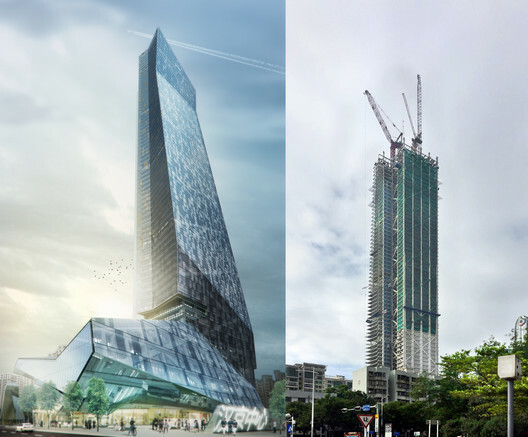 Morphosis Architects’ Hanking Center Tower in Shenzhen, China has recently topped out, with the 62nd floor now in place. Defined by its detached core configuration, the building positions its primary core 9 meters outside its main body, connected by a series of sky bridges and braces, in order to increase flexibility and light penetration into the floor plate. Two secondary cores in the body of the building provide structural reinforcement and house private elevators for VIP users, as well as freight elevators and mechanical services. In an effort to serve global professionals and bring density to the suburb of Nanshan, the tower will feature flexible office space on its open floor plate, anchored by high-end retail and dining. The Center utilizes folded angles to elegantly merge public components in the podium with private commercial space in the tower, a departure from conventional towers, where differing program is often regulated to separate and disjointed volumes, explained the architects. At the ground level, a grand plaza and “dimensional hardscape” will support public activity. Similarly, glazed lobbies and sky gardens will be located throughout the building, with one for every five floors, in order to create communal hubs for tenants. Upon completion, the building will be the tallest steel building in China, as well as the tallest detached core building in the world. Hanking Center Tower is projected to open in 2018. Located in the Tsaotun Township of Nantou County in Taiwan, the Yu-Hsiu Museum of Arts was completed in October of 2015, after 4 years of design development. 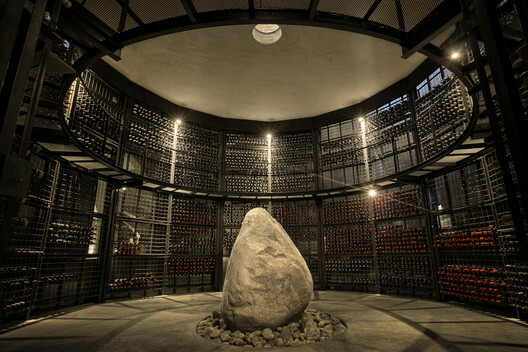 The request received by AMBi Studio’s design team, led by architect and founder Wei-Li Liao, was for a building that was “subtle,” “delicate” and “clean.” The building’s focus is therefore on creating a harmonious relationship between the manmade and naturally formed architectural elements, paying respect to the surrounding Jiu-Jiu Peaks. 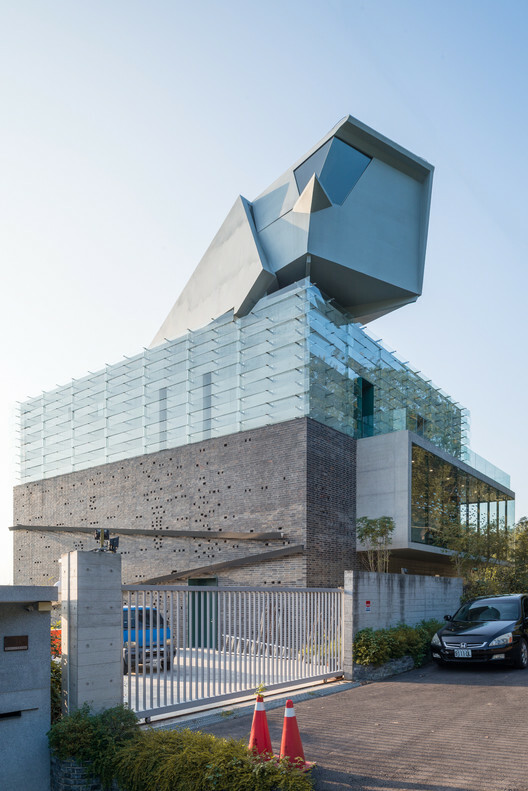 This relationship is demonstrated in the combination of the building’s artificially constructed corridors and the existing vegetation in the area, and the museum’s doubled-façade construction which creates an “intermediary” space between outside and inside. This successful design led the building to win first prize at the 2016 Taiwan Architecture Awards, causing the selection committee to praise Liao for his “continual effort… to explore the experience of perception… and poetic spatiality.” Taiwan-based photographer Lucas K Doolan visited the site to capture the building’s interaction with nature in detail, exploring the museum’s carefully considered materiality. London’s Foster + Partners will likely design a flagship Apple store for the historic Carnegie Library at Mount Vernon Square in Washington, D.C., reports The Architect’s Newspaper. According to Events DC, Apple will lease a portion of the 63,000-square-foot building’s ground floor and basement levels in a ten-year lease, sharing the space with its existing tenant, The Historical Society of Washington. This is an extremely important repositioning of an iconic building—a building whose original purpose was about community, information and sharing of knowledge, said Max Brown, chairman of the board of Events DC. Amid rapid change in our city, we are confident the space can become a true blend of the square’s past and future. If plans are approved by the National Capital Planning Commission and Washington’s Historic Preservation Review Board, the Beaux-Arts-style Ackerman & Ross library will be reinterpreted to fit both the building’s original intent, as well as the modern tech ecosystem of the city. 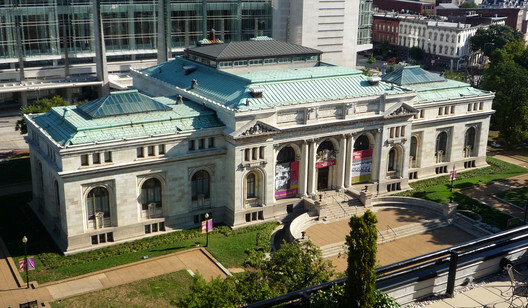 Funded by Andrew Carnegie, the library was the first fully integrated public building in Washington, D.C. Since 1999, the Historical Society has held exhibitions, public programs, and later the Kiplinger Research Library in the building. 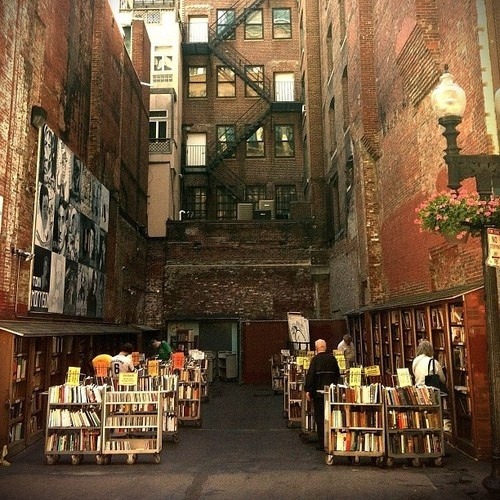 Plans to use the library for the International Spy Museum in 2014 aimed to build additions to the existing building but were rejected by historic preservationists. Foster + Partners has previously designed Apple stores in San Francisco and London, as well as Apple’s Campus 2. If constructed, this will be the second Apple store in Washington, D.C.
News via: The Architect’s Newspaper.